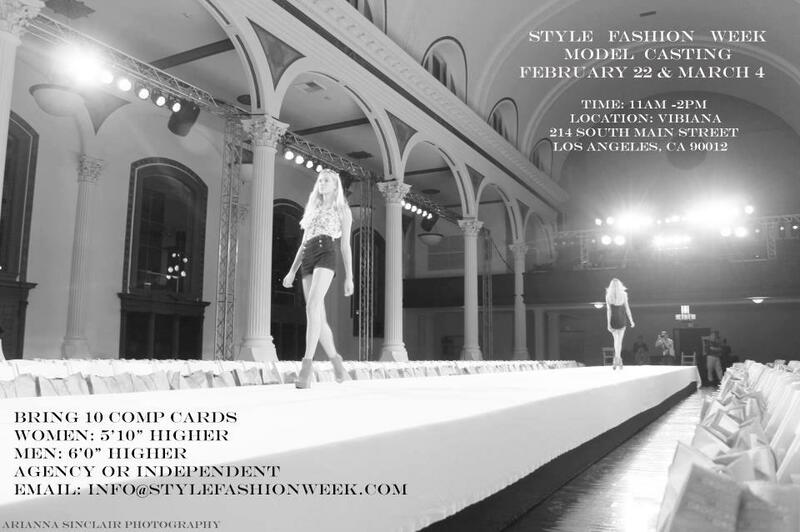 Style Fashion Week, one of the production entities of LA Fashion Week, is looking for both male and female models. Agency or independent. Please bring 10 comp cards.